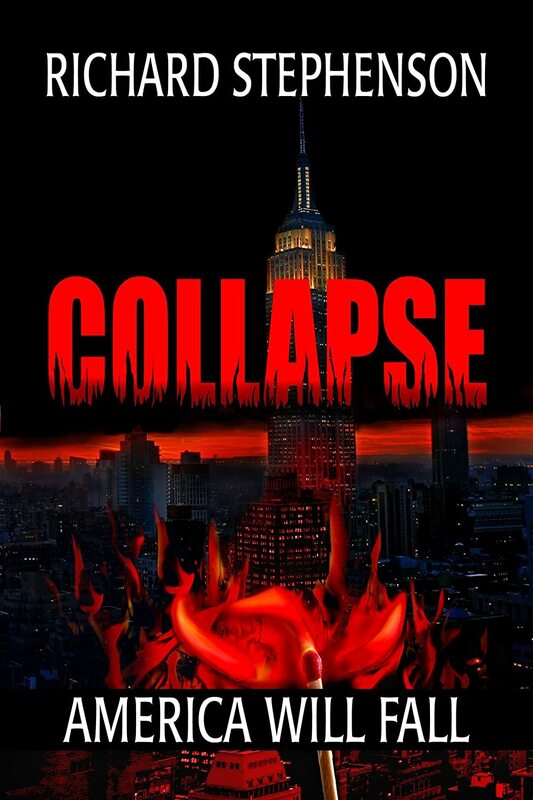 America has been crippled by the Second Great Depression, Obamaville in Central Park is full to bursting and the Iranian Empire has eyes set on Europe, this is Collapse by Richard Stephenson. It is an apocalyptic fiction novel which is just a little too non-fiction for comfort. You watch the world crumble through the eyes of a cast of characters and it all seems too real. Through the novel you learn of America’s decent from power to anarchy and the little steps and mistakes that lead it there. Thanks to the manner in which the story is told you can see it happening before your very eyes. The novel is especially relevant today with the world only recently recovering from the GFC and the fear of terror rampant in American hearts. It is only a few small steps from the state of fear elicited by recent terror attacks to the rioting and panic which features so prominently in Collapse. The characters are life-like and I found myself cheering them on, despite their obvious flaws (murderers etc.). The story switches from character to character in such a way that I just had to keep turning the pages. I have very little criticism for this book, it’s well written and if you enjoy apocalyptic fiction, go and buy it. Your only regret will be that you don’t have the sequel in front of you. The only nit-picks I can find is that another round of editing wouldn’t go astray, there were a few errors (enough for me to notice and I’m flat out spelling my own name right! ), but I doubt there’s enough to really worry anyone. The story does jump a bit, it’s easy to follow from character to character but sometimes it goes back in time with no warning. I found these segments a little difficult, it took me a while to realize it was the same character only at a younger age. I think they are great in terms of story development but more of a warning would be nice; e.g. 10 years ago… but now I’ve told you the time jumps are there they shouldn’t be a problem! So 4.5 stars for this one (because there always has to be room for improvement). If you like apocalyptic fiction, go out and buy it. If you don’t, go out and buy it anyway, you might discover a new genre!